For many people familiar with the American Civil Rights Movement, the recent death of Fred Shuttlesworth marks the end of an era. Shuttlesworth was the last surviving member of “The Big Three” a descriptor for the three founding members of the Southern Christian Leadership Conference, Rev. Dr. Martin Luther King, Rev. Ralph Abernathy and Rev. 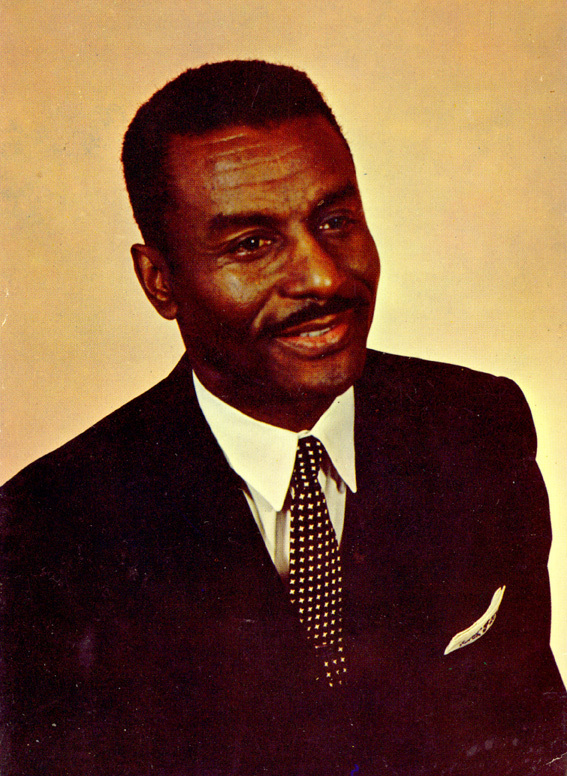 Fred Shuttlesworth. Though Shuttlesworth is predominately known for his work in Birmingham, Alabama, he actually lived much of his life right here in Cincinnati. He moved here in 1961 to take a position as pastor at Revelation Baptist Church and met the Berry family when he moved into their former home on North Crescent Ave. Although he continued his involvement in the Civil Rights Movement mostly through his work with the Southern Christian Leadership Conference in Alabama, he did have a few special projects going in the which city he called home until his retirement in 2007 which would have been important to Ted Berry, particularly later in their careers. 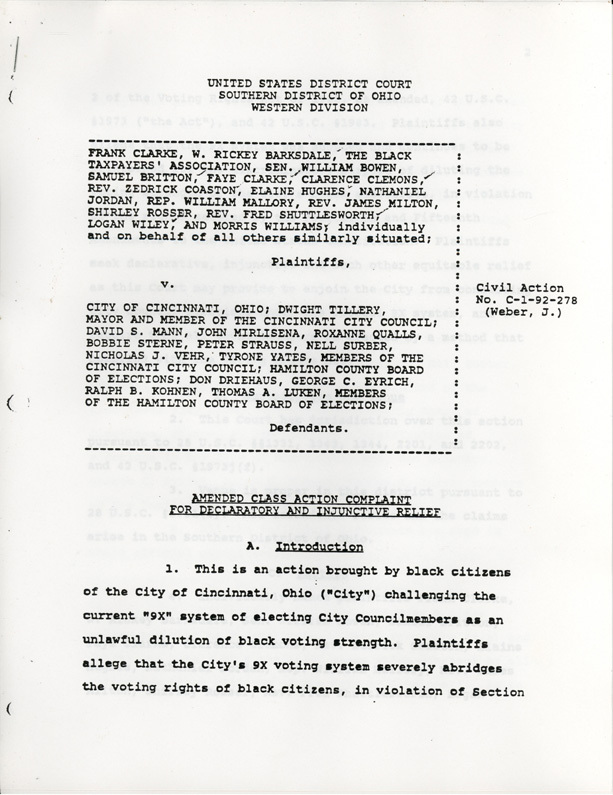 As has been gone over in this blog, Berry was a great motivator of the fair housing movement in the city of Cincinnati, and in 1988 Fred Shuttlesworth also joined the cause with the founding of the Shuttlesworth Housing Foundation. Perhaps more importantly, however, was their mutual fight against Cincinnati’s 9-X electoral system, which they both felt diluted the minority vote unfairly and caused a lack of minority representation on Cincinnati City Council as a result. In 1992, Shuttlesworth was a named plaintiff in Clarke v. City of Cincinnati, a suit which sought to get rid of the system all together. The plaintiffs’ case depended largely on historical data from around the time that 9-X was originally implemented in 1957, and compared that to data from previous elections which utilized a Proportional Representation system. For a first hand account of what happened when 9X was implemented, the plaintiffs turned to Theodore Berry, who was ousted from his seat on council for the first time in eight years in the following election. He had always maintained that the GOP campaigns against proportional representation from the 1930s through the actual implementation of 9X in 1957 were essentially attempting to keep minorities off city council. Shuttlesworth agreed, and they presented evidence in court in an attempt to have 9X discarded. However, they didn’t agree on the election system which would replace 9X, should it be defeated in court. Shuttlesworth and his fellow members of the Black Taxpayers Association felt that a districting system was the best option and that PR, while more fair than 9X, was still an at-large system which would require candidates to raise enough money to campaign city wide and would therefore make representation of the poor nearly impossible. Berry, then a member of Citizens for Proportional Representation, took issue with a districting system because he felt that it would further segregate the city, black district v. white district, and because he feared future redrawing of districts which could again dilute the vote of the poor and minorities. Their disagreement here was moot, however, since the federal court judge upheld 9X as compliant with the Voting Rights Act of 1965. Dispite this defeat, both Berry and Shuttlesworth made great strides in the march towards equality both here in Cincinnati and in the rest of the United States, and continued to be honored for their work and sacrifices.